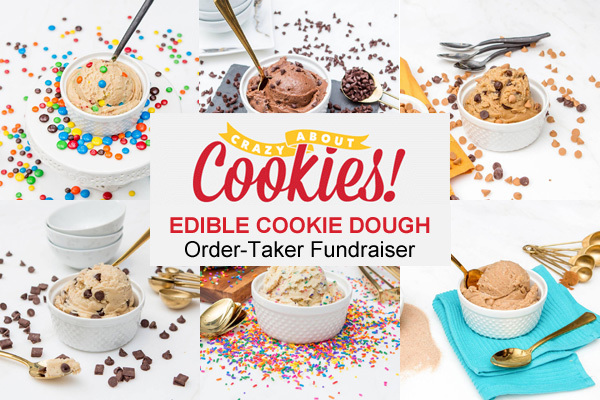 The Crazy About Cookies Edible Dough fundraiser is irresistible! 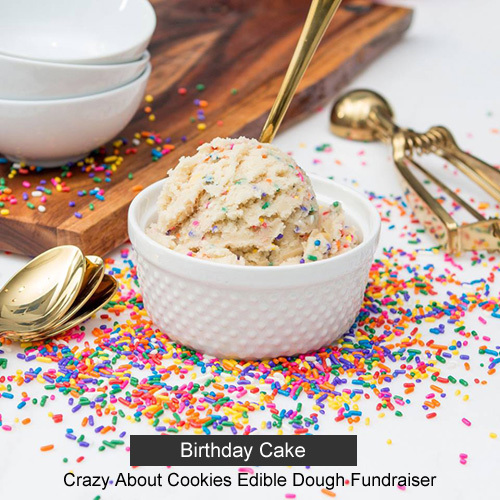 It features 6 cookie dough choices that are made to EAT without baking! Everybody loves to eat the cookie batter, and these are safe to eat. 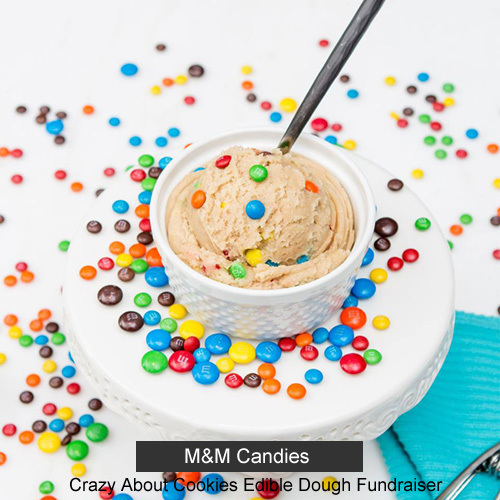 The yummy flavors include: chunky chocolate chip, snickerdoodle, birthday cake, brownie batter, peanut butter cup, and M&M™ candies. 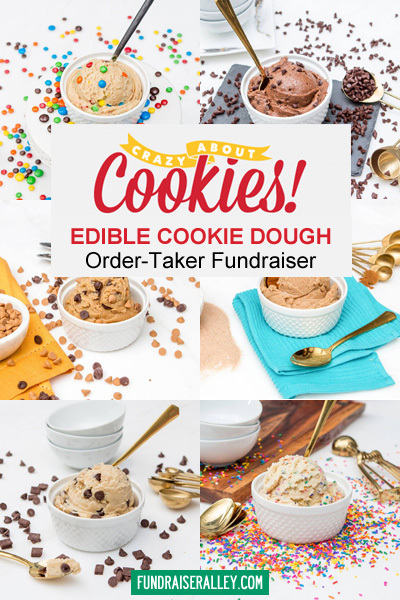 Your group sells each tub for $17.00 each, earning up to 50% profit. Shipping is free. 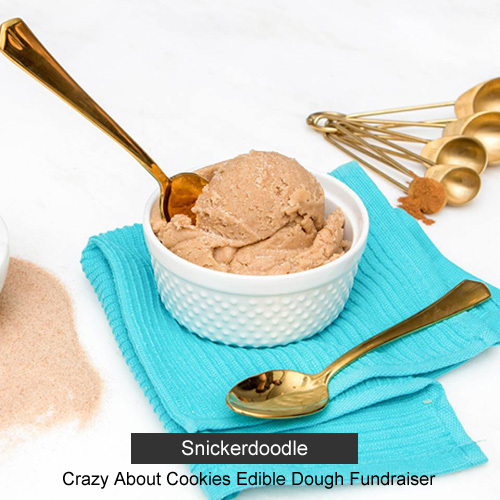 The beautiful order-taker brochure shows edible dough choices in irresistible photographs. No risk fundraiser! Take orders and collect payments before placing your order. 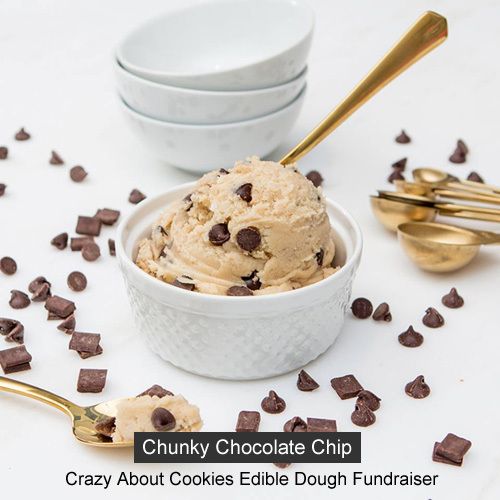 This cookie dough is made for eating without baking. You can bake it, but it is best unbaked. It is safe to eat without baking. It will keep 6 months in the refrigerator, 1 year frozen, and room temperature (66-77*) for 21 days. You can thaw and refreeze the dough. 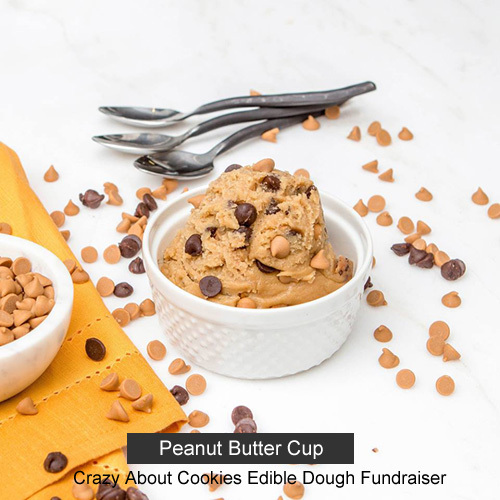 The dough may contain traces of nuts or peanuts. 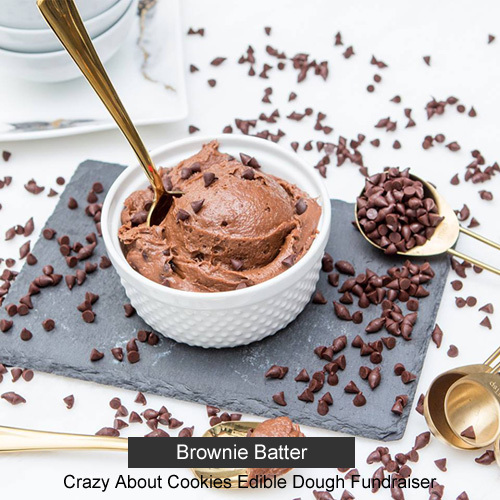 The Crazy About Cookies – Edible Dough brochure features 6 varieties of yummy edible cookie dough, shown in tempting photos. All tubs are priced at $17 each. You can earn up to 50% profit, depending on how many cases you order. The more you order, the more profit you earn, because the price per case goes down. So, encourage your participants to sell as many as they can. We suggest that you create a goal for your group to reach, and offer an incentive prize. Shipping is free. Your order will arrive in about 10 days.